Free homeschooling with YouTube – another tool in the modern homeschooler’s resource belt. We’ve been homeschooling since 1996, and have 3 graduates and 1 current student. I wish we had some of the internet tools available when we started our homeschooling adventures. Homeschooling has been a viable form of education for many years; prior to the creation of public and private school institutions, homeschooling was essential in society. It was parents that taught children logic, life and social skills and given guidance about career paths or how to take care of their future home and family. Today, homeschooling is still appreciable. This type of education gives parents the significant role in their child’s life. Instead of giving control to teachers, parents are given the opportunity to be their child’s biggest example. Homeschooling is unique because no one is forced into a specific curriculum- they are encouraged to learn at their own pace and try different things. One of the most controversial debates about a home education is that a child will not develop social skills and be able to apply them in the real world. This argument is interesting as most homeschooled children will spend more time around different age groups than a child in public education will. Even though this topic could be debated for years to come, it is as simple as this: homeschooling works for some families, and for others it won’t, and that is okay. be a great option. But what about the homeschooling families who don’t have the advantage of co-op classes or homeschooling groups in there area? YouTube! YouTube is a popular video-sharing website. YouTube often gives people a platform to grow in their area of interest. Comedians, musicians, artists, scientists, athletes, film makers and more have the potential to make millions through YouTube. So you may be asking yourself, what does this have to do with homeschooling? Well, there are no limits to what someone can find on YouTube! Many teachers, professors and specialists have created YouTube channels for educational purposes. You can easily find information on just about any topic through YouTube. Homeschooling parents can use YouTube as a way to teach a subject that may be more confusing or are having a difficult time explaining to their child. The best part is homeschooing with YouTube is free and convenient – and works on the go with most phones, computers and tablets. Here is a list of 20 recommended educational channels to use for your child’s home education. Some of these channels are geared towards a particular subject, and some are more varied. As with any curriculum, make sure you research the channel before letting your child watch their videos to ensure it is a good fit for you and your family. Homeschool Pop – Currently the main focus of Homeschool Pop is early elementary curriculum for Kindergarten, First Grade and Second Grade students. Free School – Their focus is to give children access to famous art, classical music, children’s literature, and natural science in engaging, age-appropriate ways. CrashCourse – Quick courses in physics, philosophy, games, economics, U.S. government and politics, astronomy, anatomy & physiology, world history, biology, literature, ecology, chemistry, psychology, and U.S. history. Ted-Ed – Fun and eye-catching lessons in several different topics like history, science and math. MashUp Math – Math help for teaching and learning mathematics in elementary, middle, and high school. Sick Science! – DIY Science ideas for parents / educators from Steve Spangler, celebrity teacher, science toy designer, speaker and author. Khan Academy – A nonprofit organization that creates content for math, biology, chemistry, physics, history, economics, finance, grammar as well as many other topics on all levels. Mathantics – Math videos for all levels. SciShow Kids – SciShow Kids answers lots of “why” science questions with new videos every Tuesday and Thursday. Happy Learning – Happy Learning is a new channel with educational videos for kids of all ages where you can find complementary videos for your current curriculum. Kids Learning Tube – Educational videos both kids and adults through music and animation in a fun and unique approach to learning. Mr. DeMaio – Fun and exciting videos a a broad range of topics – great for homeschooling on YouTube. The Bible Project – A narrative walk-through the Bible for all ages. We are using this with an app called Read Scripture for our middle school student. The Brain Scoop – Mainly science videos from Emily, the Chief Curiosity Correspondent of The Field Museum in Chicago and former volunteer of the University of Montana Zoological Museum. It’s Okay to Be Smart – New science videos every week. Kenhub – Great videos on the human body and biology for the homeschooler. Human Anatomy Education – This channel is targeted at health sciences and medical students and professionals so it could be above your student’s knowledge unless they are above average in this topic. BBC Earth – This channel contains content created by Sir David Attenborough of series such as Planet Earth, Frozen Planet and Blue Planet II. Beautiful and informative nature and wildlife documentaries such as Life of Mammals and classics like Planet Dinosaur. 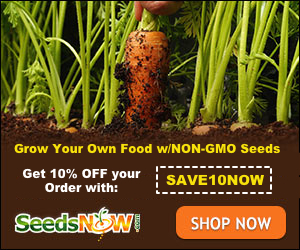 National Geographic – Great homeschooling YouTube resource with topics posted 6 days a week. Sunday: History & Culture Monday: Nature Tuesday: Environment Wednesday: Exploration Thursday: Science Friday: Fun Facts Saturday: Travel & Adventure. A2C Arts and Crafts – Videos about making creative things for projects and learning how things actually work. ***If you are concerned about your child stumbling upon inappropriate content, don’t fret! There are many child safety extensions you can set up on your desktop so that will not be an issue. Enjoy a fun and creative way of learning without the stress. Homeschooling can be expensive but it doesn’t have to be! 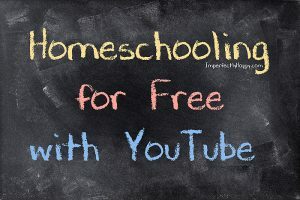 You can find amazing free homeschooling help on YouTube. Stay tuned because I’ll also be sharing free resources on Netflix and Amazon in the near future.